What a pleasant surprise to find a cadre of Ahavath Sholom members when making my rounds at the 26th Annual Dallas Kosher Chili Cook-off Sunday. Not such a surprise was that the team, led by Marvin Beleck, Chad Herman and Ebi Lavi, was one of the judges’ favorites, capturing third place at the esteemed competition. This writer went back for multiple samplings of the Cowtown “red.” It had just the right amount of heat and great texture. In addition to the trio were their wives, Ava Beleck, Marti Herman and Linda Lavi, as well as Marla and Foster Owen, Dan and Lajean Sturman, Will Kutler and Deanna Benjamin. 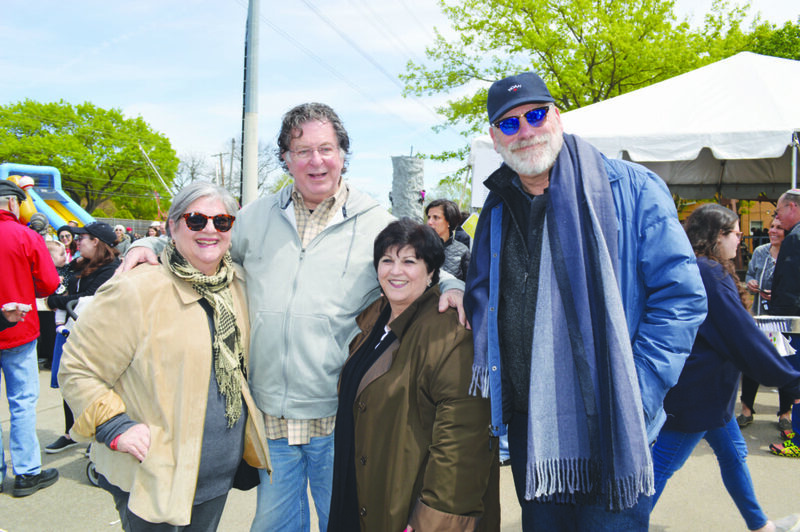 Also spotted around the Cook-off were Gayle Solomon Biemeret and daughter Brittany Ackerman, Sara Dell Baker, Nancy Faigin, Marti Herman, Suzie and Ben Herman, Ronni and Mimi Kaikov, Rick Klotz, and Paul Solomon. Marvin Beleck said the CAS team served more than 1,000 samples of their chili.